The Tiger Shark uses microprocessor technology to create a true dual function machine. In the Normal Mode, the TIGER SHARK works like any other Tesoro detector. Featuring the same great ground balance and discrimination features that made the Bandido and Eldorado series so successful. 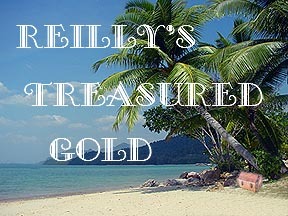 It can be used as a land unit for coin and relic hunting, and even gold prospecting. By utilizing the four controls on the outside, you can fine tune your detector to handle whatever conditions you are working in. Working in wet salt areas is different than working in any type of dry area. 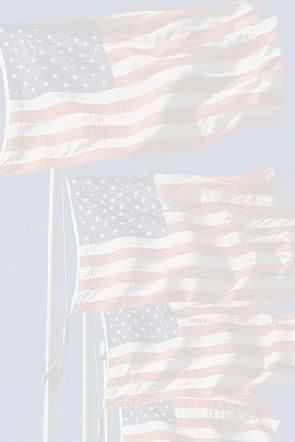 This is where the Tiger Shark outshines the land detectors. In wet salt conditions, changes in the conductivity in the sand cause most detectors problems. 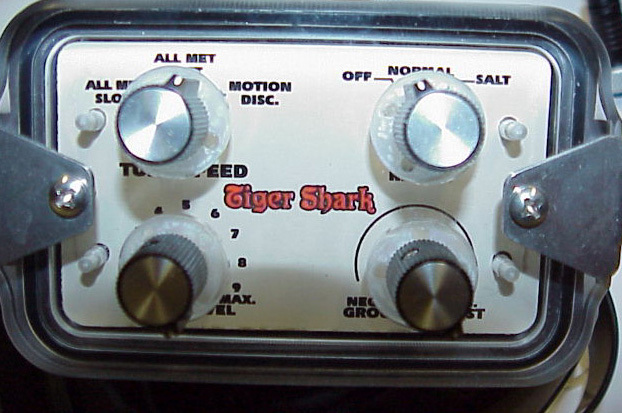 The Tiger Shark uses a completely different set of internal settings in the SALT Mode than in the NORM mode. When working on a salt water beach, just switch to SALT mode , adjust the ground balance and start hunting.